Fairway Solitaire is a suite of card games. Here you will find quite interesting solution and many other solitaire games. Setting varies from exotic forests to Scottish landscapes. SolSuite Solitaire is a package of 463 solitaire games. There are normal and animated cards, a lot of interesting backgrounds, automation and sound. The main game is the Spider, Klondike, FreeCell, Pyramid, Golf, Canfield, Forty Thieves, Flower Garden and original solitaire. WarChess is well designed, three-dimensional version of chess. The fight takes place in the world of humans, dwarves and elves. 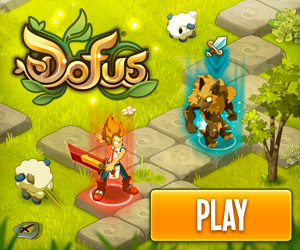 Lead your army to victory and defeat all enemies. Each time the board is placed in a different place, an environment looks great - deserts, ancient ruins, forests, etc. Welcome to Vegas Casino 2 where anyone can go crazy and taste a little gambling. This time is even better graphics, music and sounds. The package includes 8 games: Blackjack, Baccarat, Roulette, Craps, Keno, Video Poker, Video 21, Las Vegas Slots and Craps. In the traditional game, take off the blocks in pairs. Here you'll find 44 different layouts, three styles of play and a total of 132 different combinations. All this in the Champion Mahjongg. Do you like to play hearts or spades? Now you can play whenever you want, without having to organize four people. You have Ancient Hearts and Spades. Novices will surely gain experience by playing with the masters. With time they become experts.